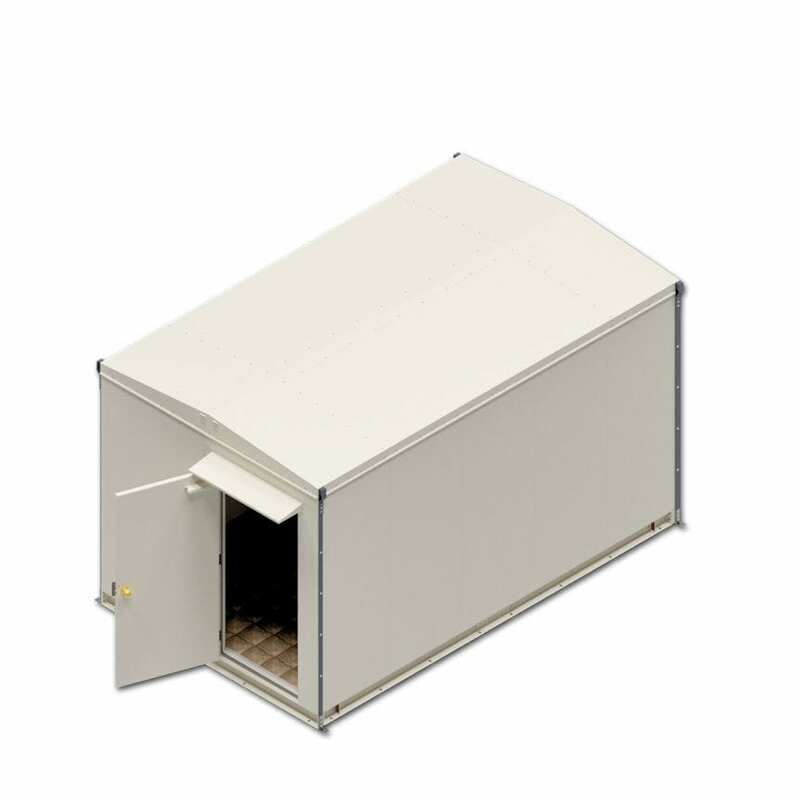 American Products metal shelter has a high strength to weight ratio for easy deployment with either fork-lift or crane. 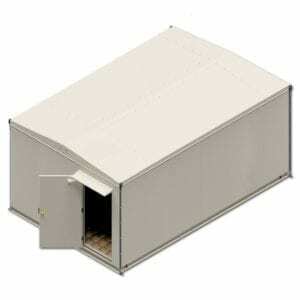 The outdoor 108”x180”x108” equipment shelter is constructed of 14 ga galvanized exterior with an 8 ga galvanized structural base which includes built in fork-lift channels. 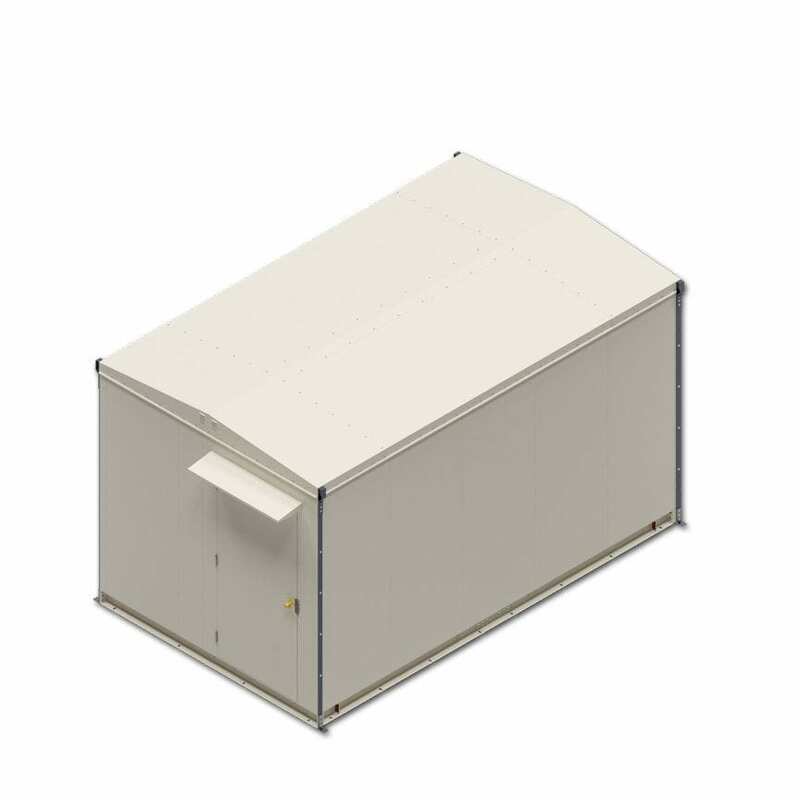 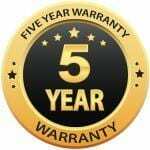 Enclosure is compliant with GR-487 paint specifications. 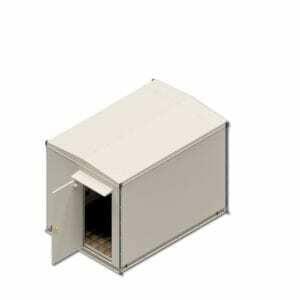 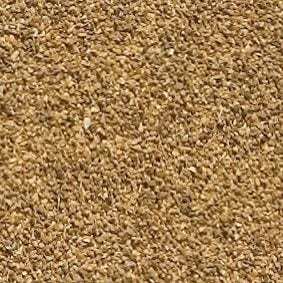 Standard powder coating is beige.